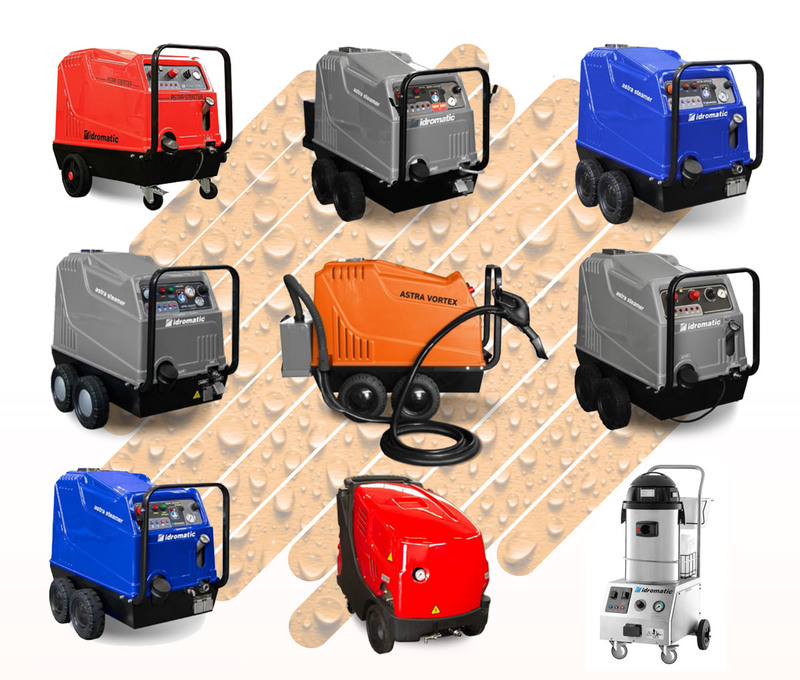 Suggested and encouraged by the sensibility to the surrounding environment, the cleaning with steam in high pressure, is a very efficient method of dirt removal, able to grant a precious action of sanitization and pest control, particularly important for each field of our machines application. The dry steam takes o the dirt for thermal action with the advantage of cleaning and sanitizing at the same time. The steam cleaning can effectively replace the traditional methods of cleaning based on the use of chemicals, becoming a secure, ecological, natural “tool”. Even when it is not possible to avoid the use of the chemicals or other polluting additives, the use of the steam generator can help to optimise the product and reduce the required quantity. steam generators are highly suggested for the outdoor use. Thanks to their specific structure, the machines are suitable for all the professional and industrial applications. They are designed to work continuously during the whole day, granting the maximum power and stability of the steam. The unique design of the machine is studied to allow a comfortable and easy a er sale service. It consists of a stainless steel heat exchanger without the coil, equipped with a double thermal protection to prevent the overheating. Inside the combustion room, a control ame sensor had been mounted to prevent dangerous hot spray of fuel not burnt. Connected to the boiler, there’s a quiet room, a device that allows to measure the water level in quiet condition, able to avoid the machine to run dry. In our steam cleaners range, we could not miss to include the electrical steam machines, directly connectible to the power net. The electrical machines, despite the diesel units, can be used in the external spaces but also and especially in all the indoor applications. The Idromatic machines can be highly suggested for the professional cleaning of industries, laboratories, hospitals, food industries and car wash station without external spaces. Our machines are light and easy to move, thanks to the Idromatic ergonomic design but have the internal solidity of all our professional generators. Heating time before use: 5 min. Evolution of the model Astra Steamer, the Astra Steamer Evo, allows the control of the machine functions directly from the control panel, in this way its use is very simple and safe for the operators. The machine has its own auto diagnostic system based on numbers appearing on the main panel, indicating the type of error. The CPU installed on the unit allows the machine functioning check. It is supplied with a 8 lt detergent tank, with its own probe level sensor, placed in the machine side. 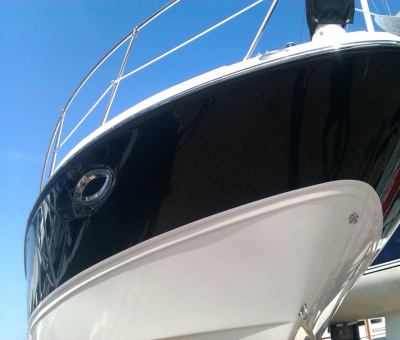 It is completely independent, silent and safe thanks to the battery feeding . All the components are at 12V, to grant the maximum safety during the transport and in case of contact with humid surfaces. Inside the machine, there a specific battery housing, perfectly insulated to protect the machine and the operator. 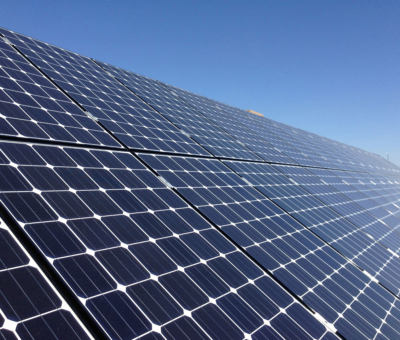 The battery is easily achievable and rechargeable. The model is equipped with two steam outlets to allow two operators to work at the same time. By the use of the splitter kit (optional), the operators can be 4. 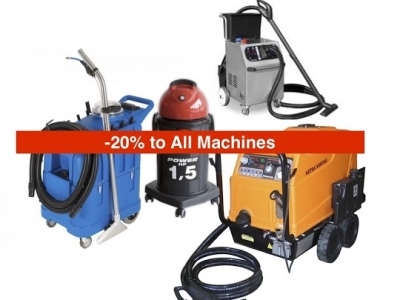 The steam machine is an Astra Steamer Evo with one steam outlet, the high pressure cleaner is a cold water high pressure washer with the possibility of chemical injection. 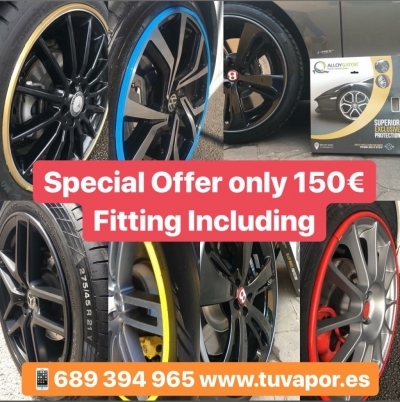 The operator has the possibility to use all the optional accessories of both the type of machine. 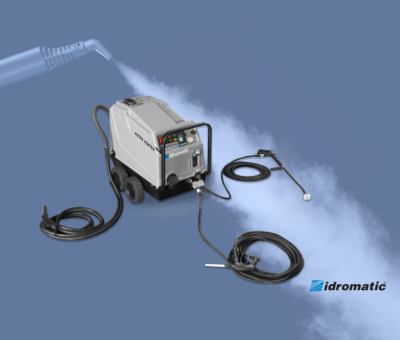 The Idromatic Astra Vortex is the only machine that adds to the steam spray the suction function without the use of an additional vacuum cleaner, thanks to the Venturi principle. Electrical motors, filters or other items of the traditional vacuuming are not necessary.